Dr. Dupont is a Professor and Clinical Psychologist at the University of Memphis School of Urban Affairs and Public Policy, Department of Criminology and Criminal Justice. Previously, he was a professor at the University of Tennessee Center for the Health Sciences where he directed the Regional Medical Center Psychiatric Emergency Services for 14 years. He was the principal investigator for the Tennessee Health and Human Services SAMSA Jail Diversion Research project and is currently a principal investigator in the National Science Foundations grant to study the use of advanced computer technology to train law enforcement officers in crisis de-escalation techniques. He is a nationally recognized expert in the fields of mental illness and crisis de-escalation systems and is the lead consultant and key instructor for the Memphis Police CIT program. He also directs the trauma recovery program for both the Memphis Police and Fire Departments. He has trained a wide variety of professionals, including those involved in criminal justice, fire, emergency medical services, healthcare, social service as well as business and industry. 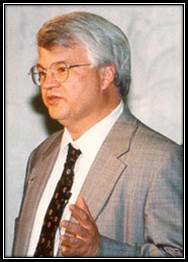 He was recognized by the Tennessee Psychological Association as the Distinguished Psychologist in the Public Sector, previously awarded the NAMI-Memphis Provider of the Year Award, and honored nationally as the City University of New York (CUNY) John Jay College of Criminal Justice, Law Enforcement News Person of the Year, for his work with law enforcement officers and individuals with mental illness.